It’s that time of the year again – the new year, which means it’s the perfect time to reflect back on the previous year and outline the goals you wish to achieve this year. And while you’re making a list of personal resolutions, it helps to set some business resolutions. In order to get you going, we have came up with a couple of suggestions of resolutions you should make for your organization. We wish you a happy new year, and hope you set these goals! One of the most popular personal resolutions people make at the beginning of the year to get rid of those extra pounds. Their main reasons for wanting to do this is simple; they want to look better, and they also want to be healthier. Hence, your business also deserves to have a better and healthier image. Improve your company’s image by reviewing your company’s marketing and branding initiatives, as well as on providing a better customer experience. It’s also a great time to get rid of those “extra pounds” – archive the files you no longer use, cut those procedures that are not working, re-assign team members to other projects if they are not contributing to current ones. Just like you may resolve to keep in touch with friends and family, and to improve communication with them, it’s also important to do the same for business contacts. Make it a goal to work on communicating better with colleagues and business partners. Start establishing relationships with customers so that they feel like they are part of your company. Get in, and stay in touch with the people who have made your business successful. Getting the basement, closets, and garage in order is surely on your resolutions list if you like to keep things organized. Why not resolve to get your personal office space organized. Even if it’s not a complete mess, getting rid of a few papers and files on your desk, and old emails in your inbox will make things feel newer and less stressful. Another popular resolution that you may have made is to shape up your finances. The same applies to you business. Sit down with the finance team and go over the company’s budget and spendings. This way, you will determine if there are things your business is over-spending or under-spending on. and can make smarter decisions on the financial side. 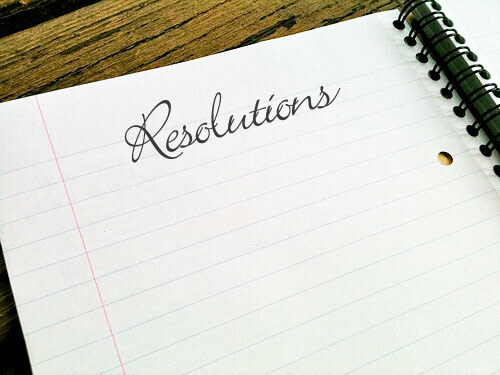 What resolutions has your business set for this year? We would love to hear them!